The English-German co-production ‘tourist’ brings slapstick, loud costumes, impossible magnetisms and large black holes onto the empty space of a stage. ‘tourist’ is a strange visitor to the world of contemporary dance. Three performers invade theatres, audiences, impossible landscapes, imagined territories with humour and resilience, finding themselves out of place and unsettled. Tourist invites the imagination of the audience to colour in what can’t be seen. Since 2008 Gabriele Reuter is developing Solo works that investigate the development and exchangeability of imaginary and real spaces. ‘Tourist – a de-centred play’ is a first translation of this research into a group process. The piece was a nominee for the ‘prix jardin d’europe’ 2010. 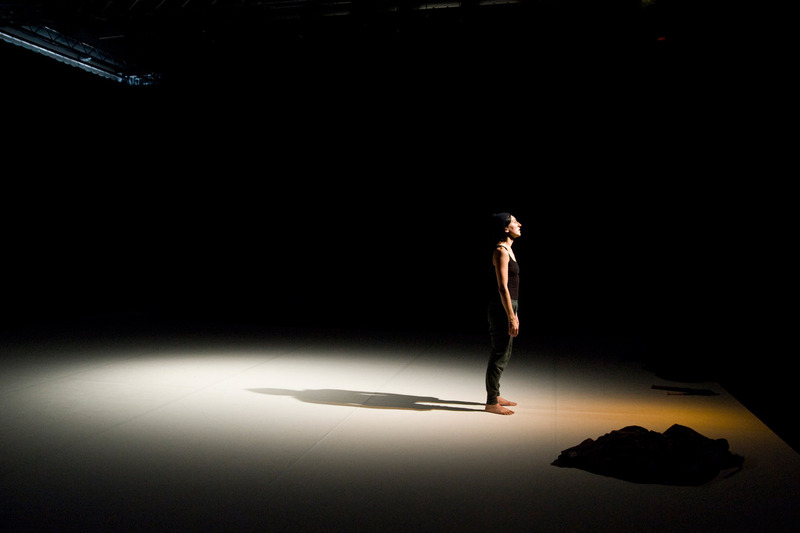 “TOURIST” premiered at Uferstudios Berlin in September 2010 as part of “Perfect Wedding” Festival of Tanzfabrik Berlin.